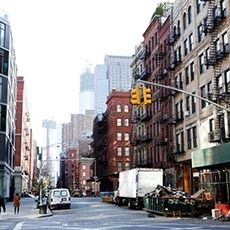 West Village generally is considered from north to West 14th Street and south to West Houston Street, east to Seventh Avenue South and all the way to the Hudson River. The skyline in this area is relatively low. Most of the buildings are Federal and Greek Revival townhouses, Italianate brownstones and deco-era apartment buildings with well-decorated doorways, fireplaces, and small gardens. The White Horse Tavern – originally built as a longshoreman’s bar in 1880 – is one of the popular spots in West Village. The West Village has been through constantly changes. 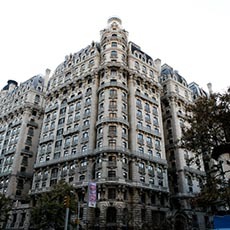 Along the history, you can see literati, visual artists, equal-rights activists, and today’s upscale residents consisting of gay couples and families in this neighborhood. 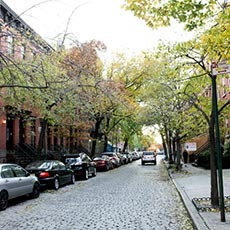 Culture, politics, and commerce are part of live experience in the West Village. 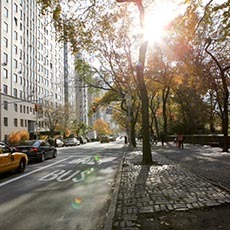 In addition to bookstores, cafes, and boutique shops, there are also parks like Abingdon Square, James J. Walker Park, Bleecker Park, Jackson Square, and the refurbished Highline Elevated Park.